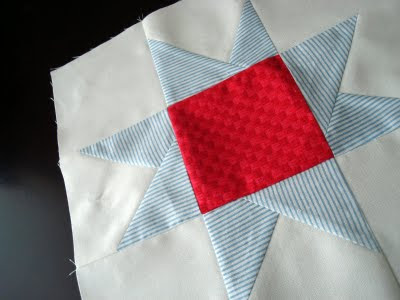 This is my red, white and blue wonky star to donate to AmandaJean for her Quilts of Valor project. It's in the mail and on it's way! It was the easiest star I've ever pieced, and I think I might find a reason to make more of these. Do you want to try your hand at one? Here's the tutorial.